D800 is not meant for sports if you ask me. it is not very good and cannot compare to the D7000 or the 7D, which I was refering to. Your picture looks good. I have similar pics with my EPL5, although I think and especially hope your Gh3 is indeed better. But the number of keepers is just a lot lower than with a DSLR. 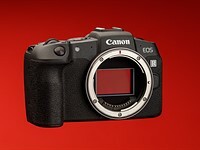 The AF module in the D800 is an upgrade in speed and accuracy from the D7000. The pixel density is similar and the frame rate in DX mode is the same. So what about the D800 cannot be compared to the D7000? That's why I liked that camera, it can become a responsive sports camera, or a take-you-time landscape camera, all in one. I'd be impressed if any other m43 camera could get in the 75% keeper rate (sharp at 100%) with those conditions like the GH3 did. I know my GH2 no way could have nor could the EM5, although it was still pretty good. The fast 35-100 was a great match, as was the 70-200 VR2 on the D800. For my uses, Slalom racing was far more challenging than any football, soccer, car race or any other sport I would want to capture and the GH3 did a fantastic job with it. Was it as good as the D800 w/ 70-200? Not quite. If I was making my paycheck off of the pics, I would certainly choose that. But I'm not, and the weight/bulk is just a tiny fraction and performance close enough to the same for me.